The West Essex Children’s Community Physiotherapy team supports children with movement disorders, disability or illness to develop their movement skills and reach their full potential. Physiotherapists work with children and young people, parents/carers and teachers to maximise independence and increase involvement at home, school, and in the community. We support families across Epping Forest, Harlow and Uttlesford in a variety of settings, including clinics, schools/nurseries and home. 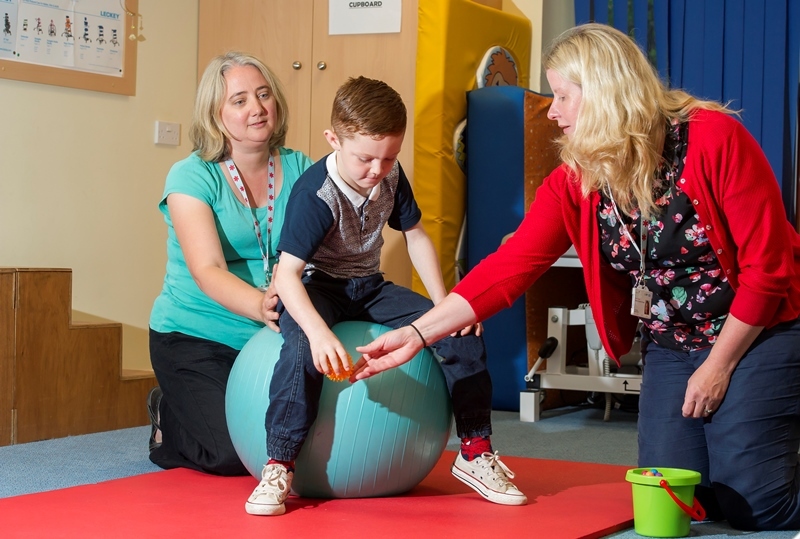 We work with children with neurodevelopmental, orthopaedic, motor difficulties and musculoskeletal (MSK) problems from birth until they leave education (18 for MSK). We provide specialist assessment, advice and help to assist children with their physical function such as their positioning, movement and balance. We work to enable them to achieve their best physical function and potential. Children will receive help and therapies in relation to positioning, functional ability, equipment, aids and splints. To improve gross motor skill function. We help children master the skills of sitting, rolling, crawling and walking. For older children harder activities such as throwing catching, running and sport skills are worked on. After a referral is accepted, all children will receive an individual assessment with advice and a treatment programme as required. Initial assessments will take place in a clinic in order to provide a detailed baseline assessment. After the initial assessment, further assessments in school/home may be necessary. In some cases we can also provide assessments for equipment to support a child’s educational involvement and achievement. We accept referrals from GPs with patients registered in Epping Forest, Harlow and Uttlesford.